The steel housing technology is also available for truck applications. tedrive’s steering system can therefore be operated at higher pressures, the minimum volume flow rate required in the steering system reduced and CO₂ efficiency achieved. A reliable addition to the commercial vehicle steering systems is the integration of the intelligent steering assist iHSA. By means of the torque overlay, iHSA offers additional safety and comfort. An interface with modern driver assistance systems therefore enables the integration of lane departure warning systems, side wind compensation and enhanced steering aids, etc. 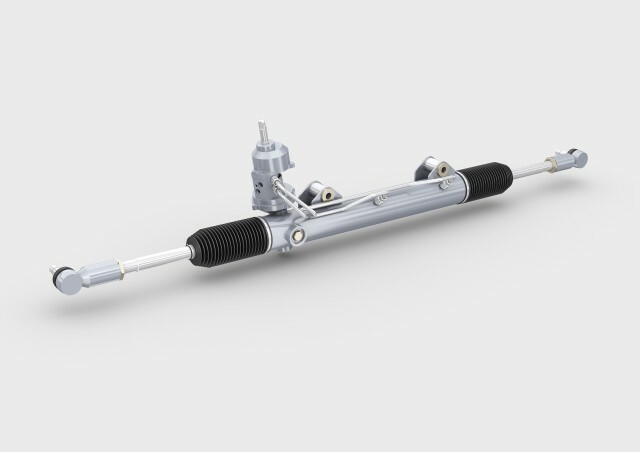 In addition to the improved steering functions, the advantages of the intelligent hydraulic steering system iHSA patented by tedrive include optimized installation dimensions, cost and design advantages for platform strategies and the CO₂ saving potential of the pump and steering gear.